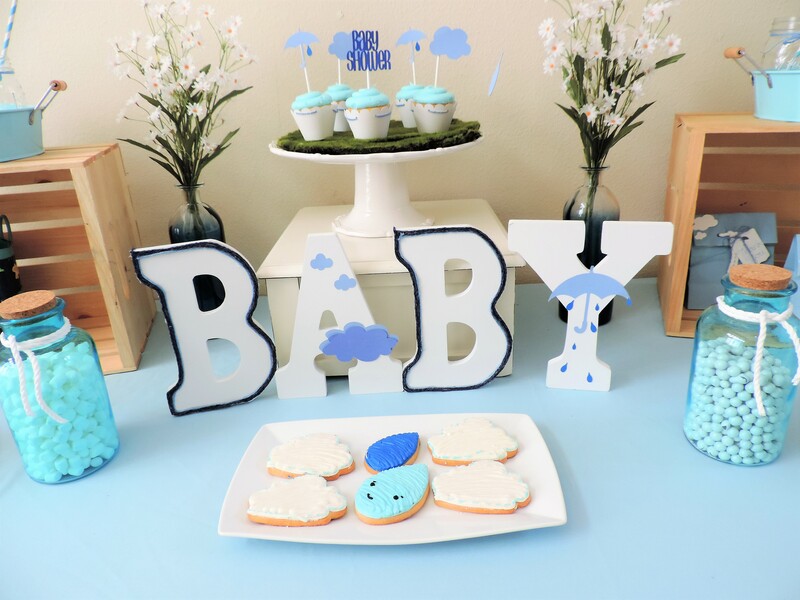 Custom orders can be placed for the BABY letters in SugarPartiesLA’s Etsy shop. 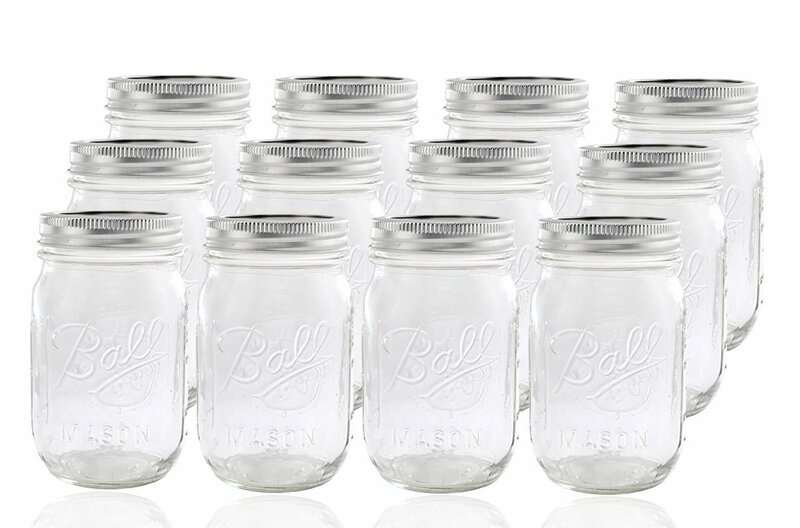 Trays, mason jars, and candy jars can also be purchased at your local HomeGoods. Set up a perfect dessert table with these easy steps. 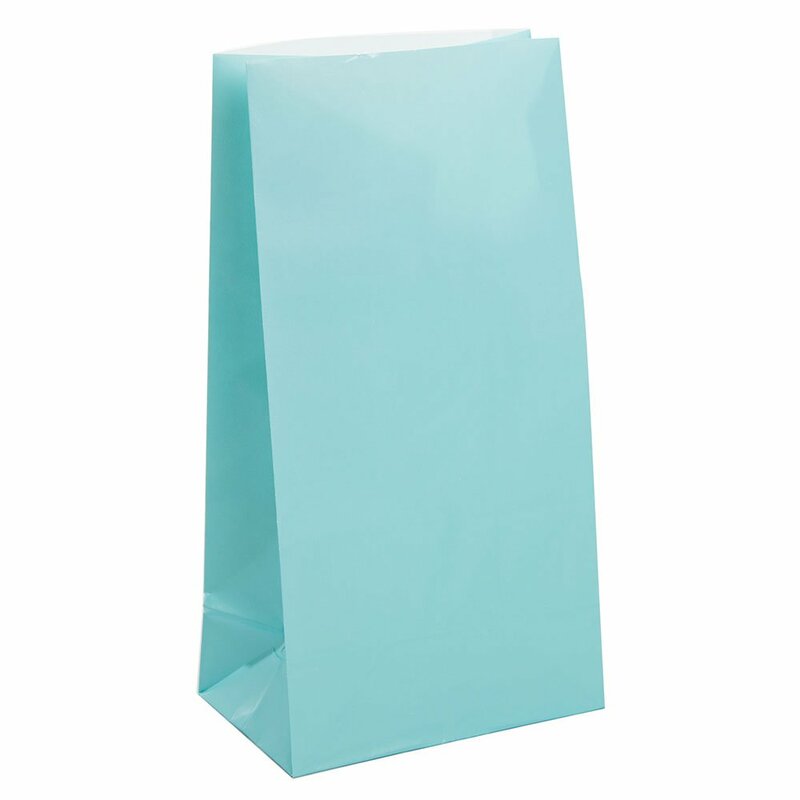 Cover a 6 foot long table with a baby blue polyester table cloth. 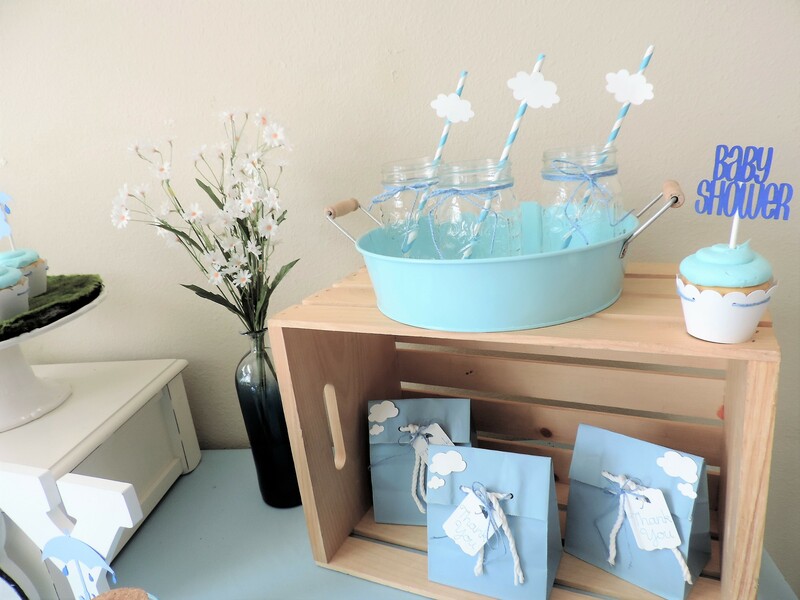 Arrange two crates on each side of the table and assemble party items as shown in the photo. 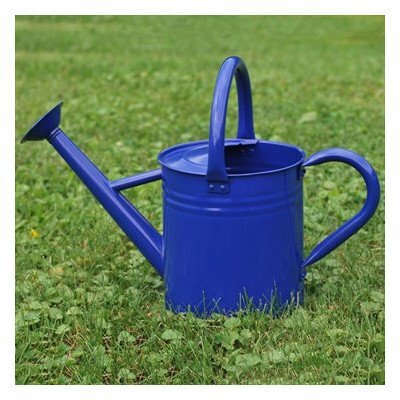 Use fishing wire to hang the clouds and watering can – the string is clear and will not be seen. Add a little bit of hot glue to the watering can when attaching the fishing wire so it will stay put. 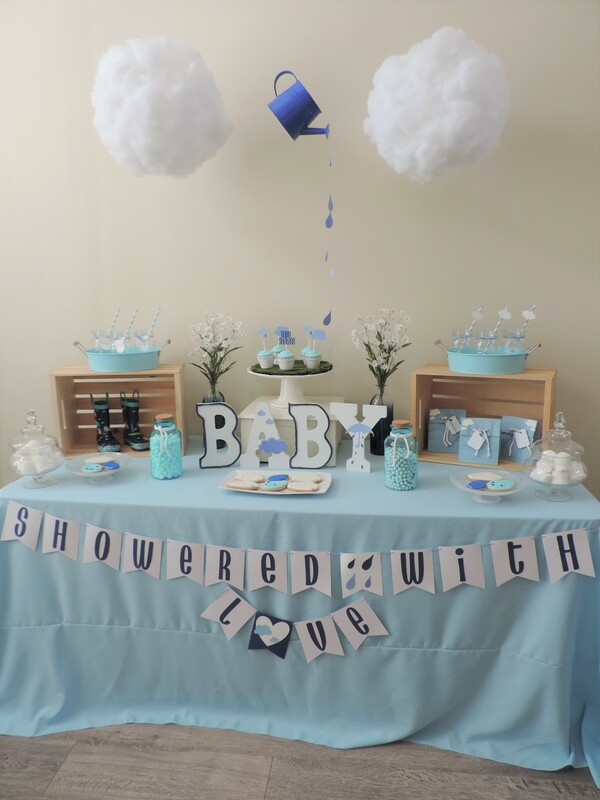 Tape the “Showered With Love” banner to the table cloth with velcro tape or use pins. 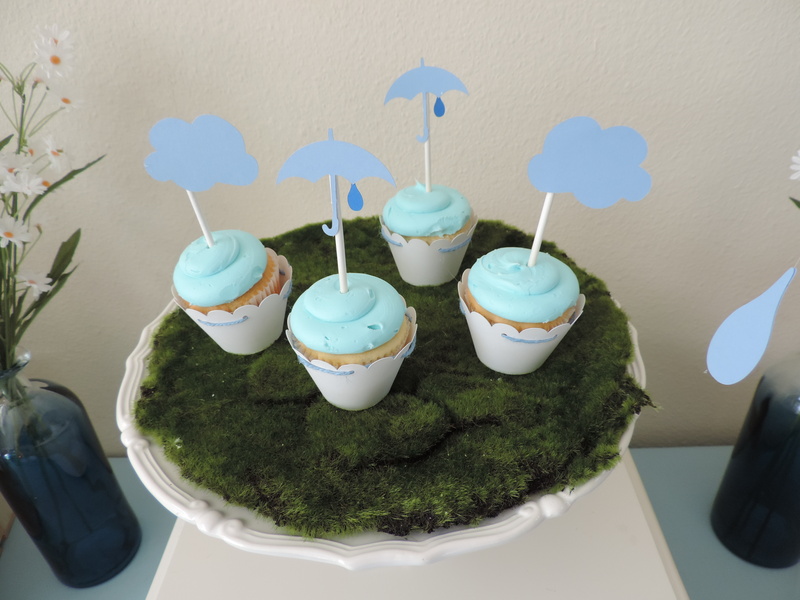 For the cupcakes, add moss to the top of a cake stand to resemble greenery before adding the cupcakes. SugarPartiesLA shares top tips for pulling off your event. 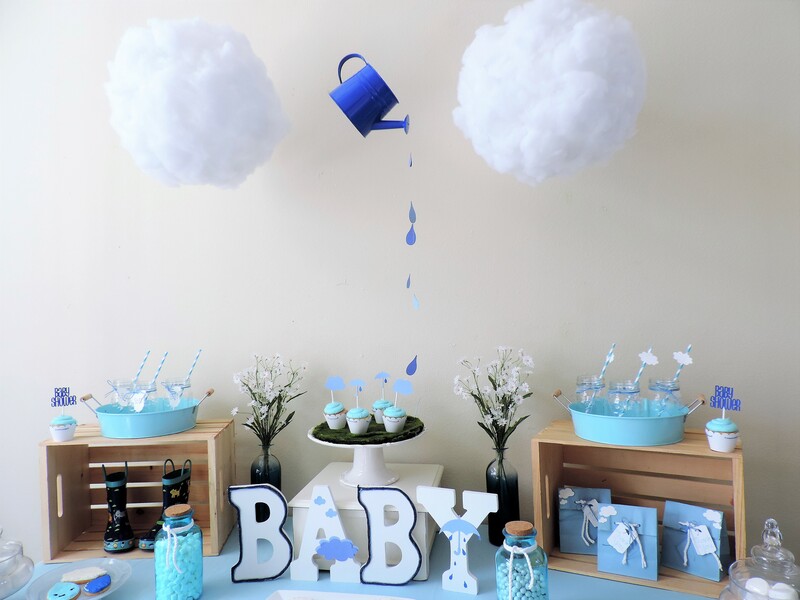 Set up the table in an area where the watering can and clouds can be hung down. 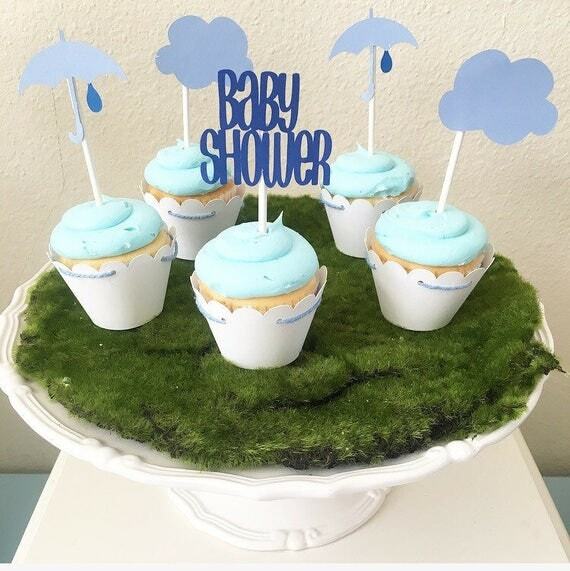 Save time by adding the toppers and wrappers to the cupcakes ahead of time. Make sure to use a table cloth that reaches the floor. 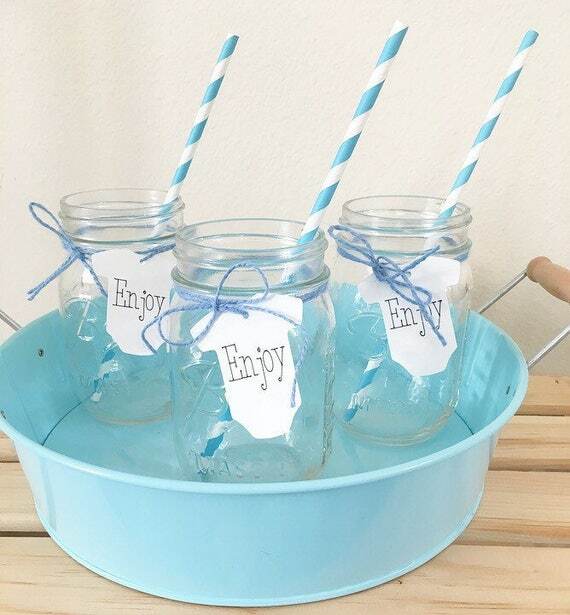 Mason Jars can be filled with beverages of choice for easy guest pick up (fill up right before guests arrive if using paper straws). 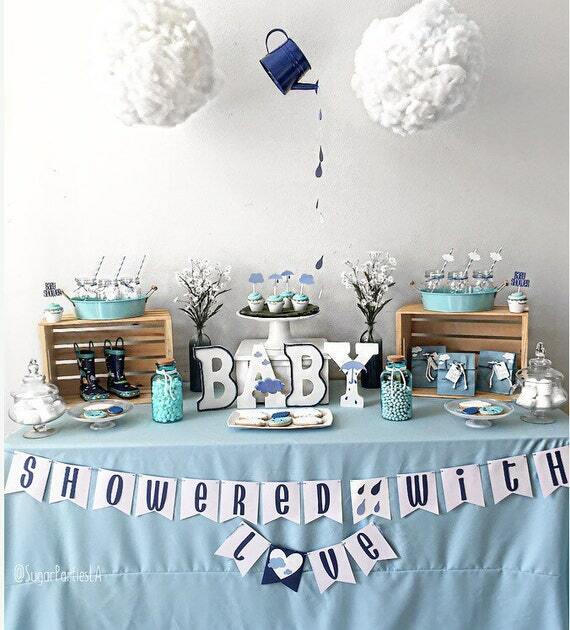 Due to the clouds and watering can display, a party set up indoors is preferable.